The ‘Magaa of Small Things’ is a YouTube channel about a comedian making light of his daily interactions with the people around him. It features an up and coming Indian comedian who was recently featured on BuzzFeed twice. This man also happens to be an innovator who has co-invented 18 different medical devices. He is also a practising ENT surgeon and was Stanford India Biodesign fellow in 2012. Got a complex yet? Dr. Jagdish Chaturvedi is a young man with a noble mission. A child at heart, he aims to make medicine better, cheaper and more accessible for the future generations. In India there is a lack of medical innovators. His first invention was a low cost portable device that can perform video-endoscopy of the ear, nose and throat. Now, that product has been licensed out to Medtronic and is sold as ENTraview. His latest product Sinucare launched in the market in October 2016. It is a device that treats sinus without any tissue removal in a safe manner through the use of an inflatable balloon that clears up the sinuses. InnAccel, the MedTech platform that he started is dedicated to developing new and unique products to cater to the unmet needs of the Indian medical scenario and global markets. It’s main aim is to bridge the gap between products and requirements and helping doctors contribute to innovation while continuing with their practises. The author of two books, "Inventing Medical Devices: A perspective from India" and "The benefits of failing successfully", he has influenced a lot of doctors and engineers to contribute to the growth of medical technology and devices stemming from India. Dr. Jagdish was selected as one of the 35 under 35 innovators by MIT Technology Review in 2016. 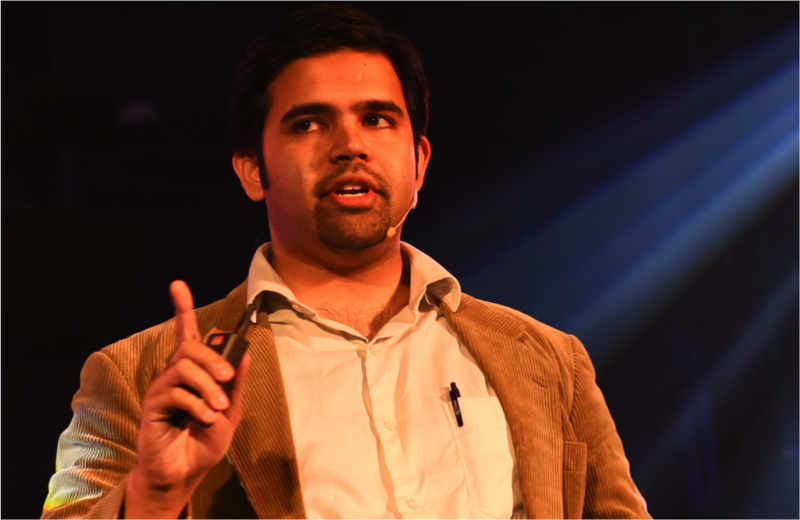 He was also a speaker at TedX, BITS Pillai and Amity University in 2017, teaching young minds to benefits of failing successfully. The man is a true inspiration to the new generation of innovators, medical practionors, engineers and stand-up comedians. He inspires us to dream big and go for it. And above all, he has shown us how to follow our true passion while changing the world. We can’t wait to see what he has in store in the future and we’ve clicked that push notification button to get the best medicine as fast as we can. So happy to know about this man! Hats off to his efforts!